Vital Movement Studios teaches the CSTD Modern Jazz Syllabus. One of the most popular and well-known genres, Jazz dance includes strength, flexibility and conditioning technique along with pirouette, kick and leap progressions. In a Jazz class the dancers also learn commercial dance steps that are used for all forms of dance. It is a wonderful class to get a well-rounded variety of all dance steps. Dancers will learn choreography to popular and age appropriate music of today along with vintage styles of jazz from the last decades. It is suitable for students aged 2+. Vital Movement Studios teaches the newly updated CSTD Tap syllabus along with classwork from the United Taps street tap syllabus. 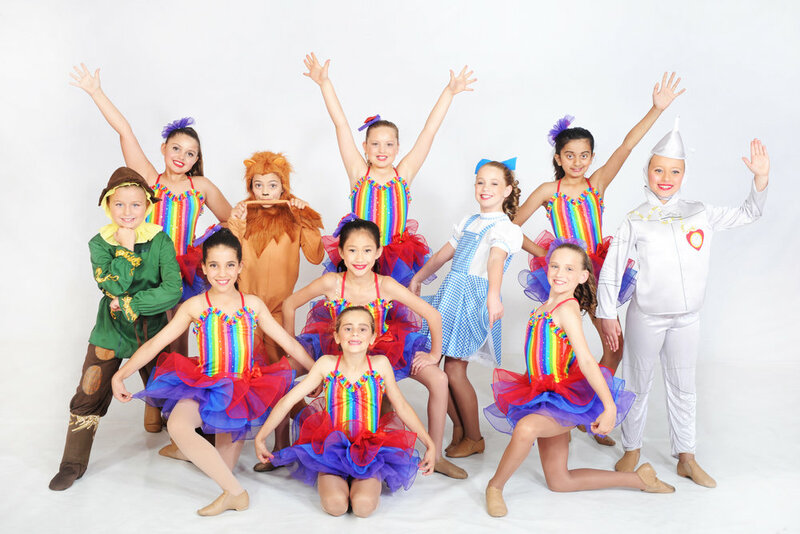 Tap dance classes are high energy and great for developing rhythm, musicality and showmanship. It is a great style to begin at an early age as students learn the fundamental techniques which are the building blocks for more advanced progressions. It is suitable for students aged 4+. Vital Movement Studios teaches a combination of CSTD, RAD and ATOD Ballet syllabi. Ballet is the foundation of all forms of dance. It teaches poise and correct posture as well as breaking down the mechanics of movement. Ballet has influenced and defined the foundation of techniques used in most genres. Ballet has evolved over the years but will always hold the most important dance fundamentals. It requires hard work, dedication and discipline. Ballet is an ideal place to start for beginners and we recommend it as a must for all dancers to include in their schedule. It is highly beneficial, especially in today’s modern world, not just to those wishing to pursue a career in dance, but to the health of growing bodies. Hip Hop is a modern style of dance that you would see on the latest film clips and dance shows. It is a highly creative style that can range from old school funk to break dancing, crumping, whacking and much more. It encourages individual style and flair with an importance on musicality, controlled body isolations and performance. We ensure that all content used in our Hip Hop classes and performances are age appropriate, including the choreography, music, themes and costuming. It is suitable for students aged 5+. Vital Movement Studios teaches the ATOD Contemporary Syllabus. It is tailored to students 10 years and above preferably with prior classical ballet training. It is a popular style for teenagers and adults as it takes the technical skills they have already learnt to another level. In class students will be taken through a sequence of warm up and conditioning exercises, floor work, travelling progressions and a series of leaps and turns. It also includes lifts and partner work. Minimum age 10 years and it is strongly recommended students also take one ballet class per week in order to secure a place in the contemporary classes. 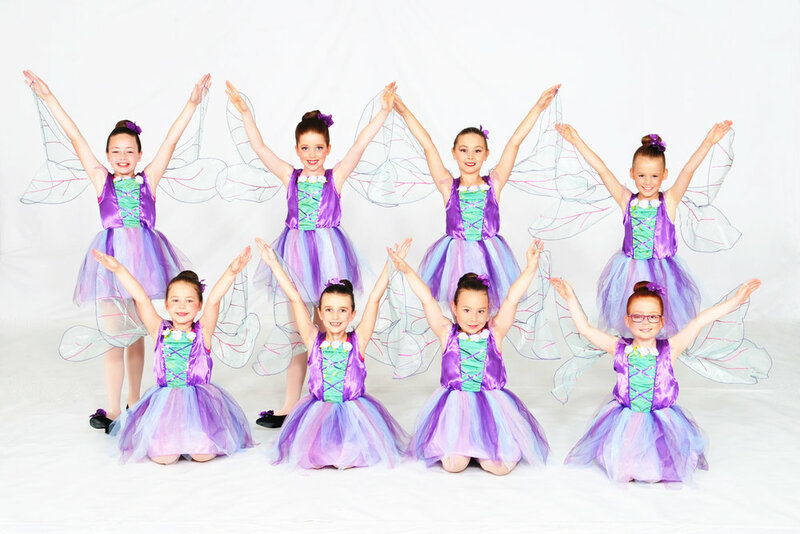 Minimum age 10 yrs and will depend on previous dance experience. Don’t know what a plie is? Don’t worry you're not alone…….! These classes are designed for anyone - no ballet experience is required and there are always ways to modify exercises, so anyone can do this low-impact class and see results. It doesn’t matter if you’re 12 or 75, if you’re a turbo athlete or you haven’t worked out in years, if you have back pain or a knee injury. No matter who you are, this will help improve your pos­ture, flex­i­bil­ity and bal­ance, build strength, and tone your entire body. Best of all though it’s fun!” The moves are based on a combination of pilates, yoga and strength training with a focus on high repetition, small pulsing and isometric movements with the goal of building a lean and strong body. All Vital Movement Studios Ballet students 11 years and over are welcome to participate in Pointe classes. Students must pass a Pre-Pointe assessment before they will be allowed on full pointe to ensure their safety. If the teacher has any concerns, they may require an examination and clearance from a qualified dance Physiotherapist. For more information please contact Donna directly. We’ve known for a long time that kids love nothing more than attempting and perfecting new “tricks.” Remember learning a cartwheel? We sure do, and it’s that sense of pride and exhilaration that we love to pass on to all students. The class levels for this discipline are skill-based, the levels are Primary, Pre-Intermediate and Intermediate and once our students have mastered the skills in their level, they move up to the next allowing them to develop their skills at their own pace. Safe dance practices are followed to ensure students’ safety and controlled progress as they advance through the levels. In some exciting news the Acrobatic students have the option to be included in the 2019 VMS Concert! Stretching has a number of benefits for dancers. Stretching helps keep muscles long and supple, while exercise gives them additional strength. This class will teach how stretching properly before and after a dance workout helps to prevent injury, by making the muscles more pliable. In addition, students will work on improving posture, increasing flexibility and range of motion and strengthening the muscles. It will also aim at increasing the core body strength essential for a dancer. This is a technique only class and students enrolled do not perform in the concert. Based on a variety of Latin Dance and World Dance styles, Zumba is a dance fitness class guaranteed to make you move!